JP Review:This has all the features of a tabloid newspaper – and without the guilt! It’s a quick read, it’s very well-written, and honestly I couldn’t put it down. The book is about the key players in the Kennedy assassination including Lee Harvey Oswald, Oswald’s wife, Marilyn Monroe, Frank Sinatra, and Kennedy’s wife (Jackie O.) and parents. The feeling of the book is that of sitting at bar after work listening to someone tell a really good story. This is the second book I’ve read that Bill O’Reilly has written and whatever your opinion of O’Reilly – he is a fantastic history writer…I would even go so far as to put him up there with David McCullough. AK Review: The catalyst for me reading this book was fear. I am fearful of cancer – it has affected my family in many ways, my grandmother, aunt and father-in-law are all cancer-survivors and my grandfather died of lung cancer. Part of my fear of cancer lies in the unknown — it is such a mysterious and multifaceted illness — I figured I would take an opportunity to learn more about it. The author, Siddhartha Mukherjee is himself a cancer physician and professor and set about to gather together the unofficial history of cancer. The project turned into a huge undertaking and that is evidenced by the 600+ page book he ended up publishing. I thought the book was excellent – it’s very thorough and it’s very well written, he doesn’t belabor anything and so you never get the feeling that things are dragging. I especially like all the serendipitous moments in the book; how chemotherapy came about because of textile chemicals & mustard gas and numerous other examples like that. You really gain an appreciation for just how far our modern understanding of cancer has come in a very short time (and how much there is left to learn) – and you also gain an appreciation for the human cost of the research and testing that has been done to get us where we are.I thought overall the book demystified cancer for me – it’s still a scary subject, but I feel like I know more about it and that’s comforting in and of itself. This is the best book I’ve read in the last 5 years. I liked it so much I bought a couple of copies and gave them to other people I know. 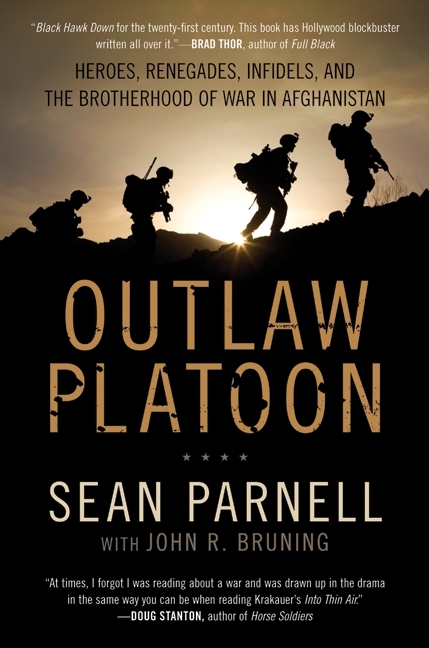 The author, Lt. Sean Parnell, describes his experiences on the Afghan-Pakistan border in 2006 including almost-daily firefights with the Taliban. In addition to the fast-paced action of this book, the thing I liked most about it was that each man he describes in the book comes off as a hero (and rightfully so). The high-water mark of the book is when the author and his unit are pinned down by an ambush; they get out of their vehicles and go on the offensive, attacking the Taliban and eventually winning the battle. This is a very clean-cut book, it’s not overly full of machismo or bravado. I definitely recommend it, it’s a quick read. I should preface this by saying that it takes a lot for me to read a work of fiction. 99% of the books I read are of the non-fiction variety, and yet because of a number of recommendations – I decided to read this trilogy. The book is set in a post-apocalyptic world in which the people of this world (Panem) have been divided into 12 districts after a civil war nearly led to the annihilation of all people. These districts are all under the brutal rule of “The Capitol” and each year, as a reminder that The Capitol has ultimate power over the Districts, each district is required to give up 2 children, one male and one female between the ages of 12 and 18, to play in “The Hunger Games”. 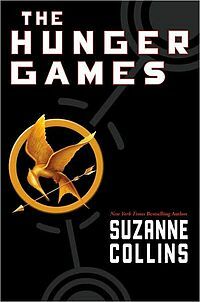 The Games take place in The Capitol and are a fight to the death – 24 enter and only 1 leaves as victor. Even thought the plot sounds rather vile (children fighting one another to the death) the story is refreshingly complex and unique. As someone who likes books that are grounded in reality, this one is plausible enough with very few sci-fi type elements. Even if you aren’t a big fiction fan (like me) I would highly recommend this book. It’s a very interesting and well-written story and even beyond that, it’s an interesting social commentary. In my opinion, this is going to be the next big thing culturally when the first movie “The Hunger Games” hits theaters on March 23rd. This book is about one of the most dedicated U.S. Marines in the history of the United States. Victor “Brute” Krulak graduated from Annapolis in 1937 and was subsequently stationed in Shanghai from 1937-1939. 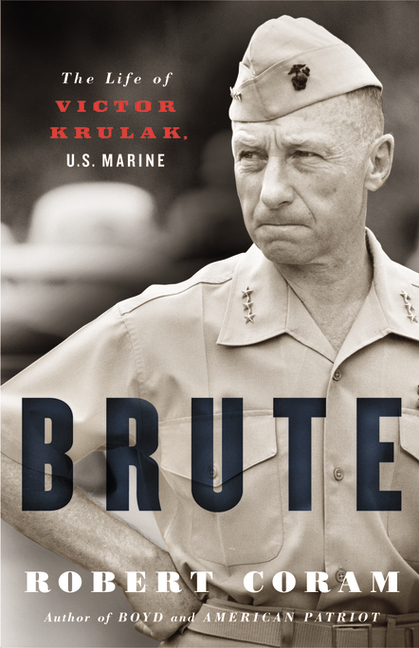 ‘Brute’ Krulak quickly became a 3-Star General only to be passed over for the role of Commandant of the U.S. Marines because of his many disagreements with President Lyndon Johnson over how the Vietnam War was being waged. Krulak’s biggest accomplishments were the following: creating an amphibious assault fleet during WWII, he opposed Truman and McArthur who wanted to decimate the Marine Corps in 1948, brought helicopters into combat in the 1950s and introduced them as assault-capable, and finally, he tried to win the Vietnam War by swaying the hearts & minds of the Vietnamese rather than bombing them into submission. The book is, at times, dry and overtly pro-Krulak but it is a well-written book and is worth the time to read. 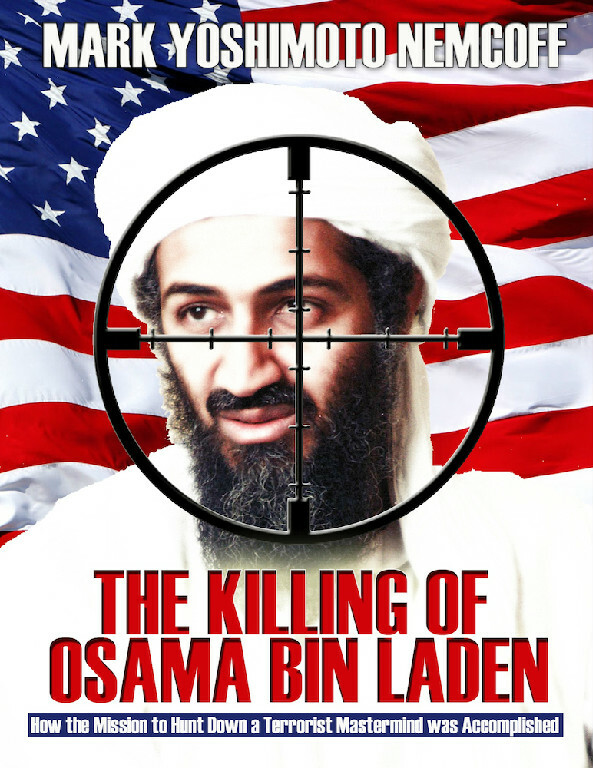 This is a brand-new book which gives gripping details about the hunt for Osama Bin Laden leading up to the day the U.S. Navy Seals killed him. It’s not for everyone, but if you’re into military books, this one is good. The Seal team was put together in short order with Osama Bin Laden’s courier being the lynchpin for the U.S. Military’s intelligence regarding Bin Laden’s location and daily movements. The most exciting part of the book is when the mission takes off – 25 Seal teammembers flew to the location in quiet helicopters and once inside the compound where Bin Laden was located, the mission itself was over in 22 minutes. The neighborhood was rocked by an explosion when the gates to the compound were blown off and one of the helicopters crashes (one of the choppers blades hit a wall). Bin Laden hid behind his wife and engaged the Seals with gunfire. 10 large garbage bags of materials were taken out with the Seal team and they left just as quickly as they had come. I really enjoyed this book – it’s fast-paced and hard to put down. I have so much respect for the dedication that this Seal team put into making this mission a success. This book is about 4 Special Forces soldiers who are dropped into Nazi-occupied Norway, in bitter cold conditions, and whose mission was to train Norway civilians in espionage, fighting, and to cause civil unrest. Out of the gate, 3 of the soldiers are killed and the remaining soldier is befriended by Norwegians and fights his way out of Norway. This is a page-turner and kept me up reading late into the night on a few occasions. Stephen Ambrose called this one of the 5 best books he’s ever read and I think it’s one of the best books I’ve read in a while. The focus of this book is how Franklin Roosevelt contracted polio and how he dealt with it as President of the United States. FDR contracted polio at age 38 while speaking at a Boy Scout Camp – this camp was a newly built camp and had poor sanitary conditions – it is thought that he contracted the disease from the drinking water at the camp. The interesting part of the book to me was how he and his family kept the disease a secret, not only when he came down with polio, but throughout FDR’s presidency. I’ll be honest, this book is a little slow at times – might be a good bedtime book. This is a really heart-warming positive look at Elvis’ life from someone who knew “The King” since they were in the 8th grade together. George Klein and Elvis met as kids and he and Elvis remained best friends up until Elvis’ death. Unlike other Elvis biographies, there is no trash talk in this one. You can tell GK (as Elvis called him) really loved Elvis as a person. Elvis would often send George extravagant gifts including cars and jewelry. With that being said, he wasn’t on the Presley payroll and instead served as a confidant to The King. Klein had a front-seat to Elvis’ rise to stardom and was often hanging out with Elvis when James Brown or Jerry Lee Lewis would come by to jam. This book is a gripping, heartfelt tale written by Lt. Donovan Campbell who was a Princeton Grad and had a Harvard MBA before deciding to join the Marines. It is a story about the transformation of a regiment of 40 ‘green’ Marines with no combat experience. They end up being assigned to Ramadi which is a city of 350,000 people and the story is about their time there. The book is full of ups and downs, as you might imagine, but is ultimately about how he wins the hearts of the men under his command. This book is about the author, Lt. Jason Redman, who served in Columbia, Afghanistan and Iraq as a U.S. Navy Seal. After being wounded several times, he kept going back. I don’t really have a whole lot to say about this book other than that I really enjoyed reading it. It’s a rare glimpse into the psyche of a Navy Seal. I guarantee you’ll feel like you don’t work hard enough or you’re not tough enough after you read this book. One interesting note is that the foreword was written by Marcus Luttrell who’s book “Lone Survivor” is being released in movie-form today. As we watch marathon records fall on a regular basis and we see the sport of running becoming more and more of a business, it’s nice to be reminded of a time when elite-level runners ran because of something other than money. This book, “A Cold, Clear Day” is about an American runner, Buddy Edelen, who wanted to become one of the best runners in the World. At the time, Americans were simply not very competitive on the World stage, so Buddy left the U.S. and went to live in Britain. He trained there and ran against British and World competition and quietly became the top American runner in the World. In 1963, at the very height of his running career, Buddy set what was then the World Record in the Marathon distance with a time of 2:14:28. Buddy didn’t make much money as a world-class runner and he certainly wouldn’t have been able to make a living doing it. He had a full-time job as a teacher and used donated-money to help him pay for travel and gear. He ran because he loved running and he pursued excellence for the love of the Sport. This book is a great reminder of how the World of running used to be and as a runner, I thoroughly enjoyed reading it. JP Review: This book is beautifully written and is one of the classic books about the Vietnam War, on par with “The Things They Carried”. Michael Herr, the author, was an embedded reporter in Vietnam from 1966-1969. One of the main focuses of the book is what he experienced during the Battle of Khe Sahn (Jan – July 1968) including witnessing hand-to-hand combat and being given a weapon to defend himself with. This book is not so much an action book as one that gives the reader a feel for what the men were like and what they were going through during this war. This book is definitely a raw look, but it really is beautifully written and the terms “dispatches” refers to the fact that he was a war correspondent for one of the major U.S. papers. JP Review: This is a gripping, nail-biter and the author of the story participated in the events of the story and later received the Congressional Medal of Honor (highest award in the military). The battle portrayed in this book took place on the Eastern border of Afghanistan, where it borders Tajikistan, in October of 2009…it is referred to as “The Battle of Kamdesh”. The story is about a 13-hour battle in which a small band of Army soldiers took on a force of 300 Taliban fighters. 8 Americans were killed and 27 were wounded and there were an estimated 150 Taliban killed. Kamdesh used Taliban held and was, more or less, a vacation spot for them because it was so difficult to get to and no American force had ever been there. So when the Americans opened up an Outpost, the Taliban forces did not like it which led to this battle. This is an interesting book and hard to put down. JP Review: I really enjoyed this book – it tells the story about George Washington’s spy ring, which included Nathan Hale (guy who famously said, “I only regret that I have but one life to lose for my country”). It portrayed what life was life from 1775-1780 and it is written in such a way where it is easy to identify with the hardships that people had back then. It paints a picture of how terrible the British Soldiers were to farmers and other regular people. The spies gathered intel on troop movements, what kinds of supplies the British had (goods, in and out), and other valuable pieces of information which helped George Washington and the Revolution movement. AK Review: I have read this book once before and am reading it again for a book club I am in. I really love Larson’s insights into how the World’s Fair in Chicago came about, how it was put together, and how they really ended up pulling off a miracle in getting it done in time. Living here in the Chicago area – you hear names like Burnham and Adler all of the time, but these names really come alive through this story. On the flip side, the story of serial-killer H.H. Holmes is equally fascinating – how he really had the perfect set of circumstances; between the time at which he lived and also all of this hubbub and activity surrounding the Fair. It makes me thankful for modern technology and policing techniques which would, hopefully, never allow a monster like this to go undetected for very long. Erik Larson, in my mind, is in the pantheon of modern history writers and this book is a perfect example of his capabilities. AK Review: This is one of those books that really kind of seeps into your life when you’re reading it. The setting is a post-apocalyptic world where something terrible has wiped out most of humanity. The two main characters are a dad and his young son and most of the book is a survival story.McCarthy has a unique way of writing that makes you feel like you can touch, taste and smell the scenes his is writing about. I am now reading “All the Pretty Horses” as well. One note about this book – if you do read it, don’t even bother with the movie (in my opinion). The movie “The Road” came out in 2009 (starring Viggo Mortensen) and after reading this book, I didn’t make it 1/2 an hour into the movie before I turned it off. The book is WAY better. I think most people know that North Korea is not a nice place, it essentially a military-state whose people are poor, oppressed and trapped. North Korea has several political work camps spread out across the country where it puts political dissidents and other law-breakers. Those people are made to work hard-labor jobs and many are worked to death. Shin-Dong was born into one of these camps and has a somewhat miraculous story of escape. Of particular interest to me was the difficulties he has had since escaping – but you’ll have to read the book to see what I’m talking about. I highly recommend this book, it’s not very well written, but it tells an amazing story and really opens your eyes to the horrible situation in North Korea. JP Review: I simply could not put this book down – it’s about a Cuban American who robbed a Brinks truck in broad day-light in Las Vegas (true story) in 1998. The author provides several different perspectives on the events throughout the story which is what makes the book so interesting. He describes the events of that day as well as the history of the robber (Jose Vigoa) who has one of the craziest life-stories I’ve ever heard. You’ll have to read the book yourself to get the rest of the story but I highly recommend this book. JP Review: This book was action-packed with no holds barred. This is a book about the Vietnam War from 1965-1967 and its written through the eyes of the author, Larry Gwin, who arrived in Vietnam in 1965 as part of the 2nd battalion, 7th Calvary Division of the U.S. Army. His assignments in Vietnam included those in the Delta region, another with the 1st Calvary in the city of An Khe and a 3rd in the Central Highlands region. In 1965 Gwin was 23 years old and his unit ended up losing 2/3rds of it’s soldiers. He gives gripping accounts of the fire-fights, smells, and identifying the remains of fellow soldiers. I loved this book; it’s fast-paced and it shows what true heroes these young Americans were. Mr. Gwin does an excellent job placing you right next to him in Vietnam by giving you the sights, smells and vivid descriptions of what it was like to be there. JP Review: This is the longest book I’ve ever read and also the most interesting, I hated to have it come to an end. Throughout Napoleon’s campaigns to defeat Italy, Egypt, Germany, Austria, Russia and England he never gave up. One highlight of the book is when he was banished to the Island of Elba by the Allied Forces. He hired a ship and crew, sailed back to the southern coast of France and was met by the French Arm under King Louis XVIII (adversary). They had Napoleon in their sights and in response, Napoleon threw off his coat and yelled, “Kill me if you must, but I am the true Emperor of France.” At that point, the soldiers threw down their guns and carried Napoleon back to the throne. 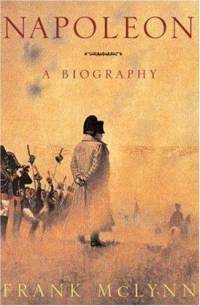 He re-entered the battle with the Allied Forces only to be defeated at Waterloo. Again he was banished to another Island (Sr. Helens Islands off the coast of Africa). Napoleon ultimately died there due to arsenic poisoning at the hands of the French. JP Review: Written about events that took place in 2005, this is an excellent non-fiction story of 4 US Navy SEALS who were dropped into Afghanistan during the ill-fated Operation Redwing. It has all of the elements of a great novel: discipline, action, and Afghani tribal people befriending U.S. Forces. This is a feel-good book, but I don’t think it is for all audiences as there are some pretty intense descriptions of real-life battle. For those who can stomach it, this is a must read. 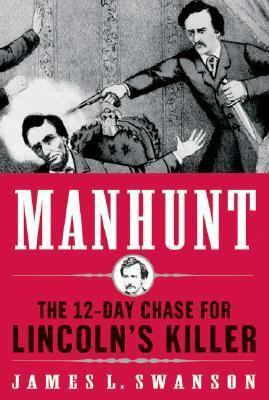 JP Review: I found this book to be very intriguing, giving minute details of the assassination of Abraham Lincoln. It’s about the 12-day hunt for John Wilkes-Booth and about the other two people who were assassinated that same evening. The book is written in modern language and told of what it was like to be hunted (from Wilkes perspective) and what it was like to be the hunter. The climax of the book details the capture and psyche of Booth. 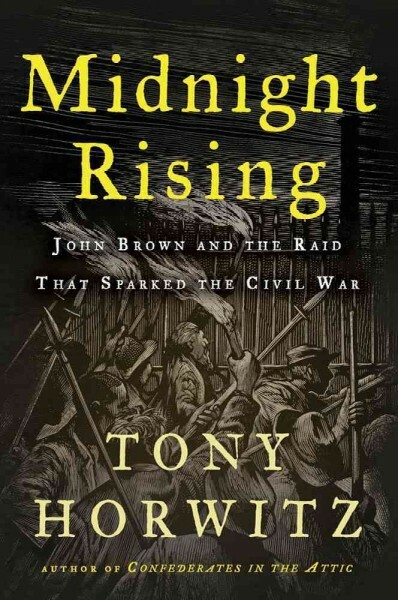 JP Review: I loved this book because it gives you a comprehensive look at all the events that led up to the start of the Civil War. John Brown, who was the son of an evangelist, felt that it was his predestined duty to free the slaves in the U.S. During his life he traveled through Iowa and Kansas where he organized a small militia and subsequently attacked pro-slavery farmers in Kansas and Missouri (referred to in the history books at “Bloody Kansas”). He gathered supporters as he went, some of whom were wealthy families in the Northeast who provided him additional funding which allowed him to expand his militia. He went on to raid the U.S. Armory in Harper’s Ferry, WV – most of his militia members (including two of his own sons) were killed by the U.S. Government. Brown was ultimately hung for his crimes after a lengthy trial. His death wasn’t for nothing though, he brought the issues of slavery to the forefront of the early American conscience which led to the succession of the Confederacy from the Union. This is the best book I’ve ever read about the D-Day Invasion, from June 6th, 1944 to the time of Germany’s surrender. Ambrose covers D-Day from German, American and British perspectives, detailing what it was like to be in the action during that time. He has such a way with words and really brings you, the reader, into the scene. This is, by far, the best book on WWII history that I’ve ever read. My uncle, who was a Lieutenant in the Army and served under General Patton, was in this campaign (and later was involved in the Invasion of Sicily) and I so I have a somewhat personal connection to this. The book starts in June of 1942 which was about 5 months prior to the invasion of North Africa. What I enjoyed most about this book was its unvarnished look at the troops that were involved in this particular theater. For example, the book talks about soldiers going AWOL, being disciplined for drinking and prostitution, and all sorts of other debauchery that other books on WWII don’t really mention. It’s easy to forget that “The Greatest Generation” was made up of people just like you and I. In November 1942, the invasion of North Africa started and it is a little known fact that the first adversary of the U.S. was the French. The French quickly capitulated and after that, the U.S. was fighting against General Rommel’s German forces. I highly recommend this book if this is a subject that interests you. This book is actually part of a series, Atkinson also wrote about the invasion of Sicily and the invasion of Normandy. 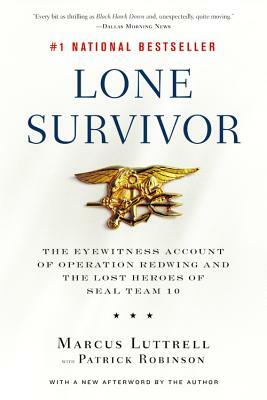 This book is on par with “Lone Survivor” and has a very similar feel. Adam Brown was well-liked in high school and was one of those people that goes full-throttle all the time. After high-school, he struggled to find his way and fell into a life of drug addiction. What ultimately saved Adam was the U.S. Navy where he excelled. Brown became a U.S. Navy SEAL and rose to an even more elite group within the SEAL organization, becoming a member of the ultra-elite SEAL Team Six. The story of Adam Brown is truly inspiring and really served to re-energize my gratefulness to our fellow Americans that serve in the Military. It also gave me a deeper appreciation for the families for our service men and women. This book doesn’t have a happy ending, but it is an excellent tribute to a man who loved his country deeply and served it according to the highest standards of the Navy. There is a movie coming out about SEAL Operator Brown in 2015 and it’s half as good as the book, it will be a great movie. I know I always say this about the books I review, but I really did LOVE this book. If you’re looking for a hero, read about this guy. Sgt. John Basilone served in the Army in the Philippines, before World War II, got out, took civilian jobs that he hated, and then went back in to serve with the Marines in WWII. He was a champion boxer in both the Army and Marine Corps and was well-liked by all the men he served with. Sgt. Basilone seems to be the kind of guy who loved to fight for his country. At one point, in the midst of WWII, he was already a decorated war hero and so the military tried to make him the poster-child to sell war bonds…well, that didn’t sit well with Basilone so he begged and pleaded and was eventually sent back into the fight. Like I said, I really enjoyed this book and even though it’s about someone who isn’t very well-known today, it’s these types of heroes that I enjoy reading about. This book is gripping and hard to put down. Written by Special Forces soldier Billy Waugh, this book is about Billy’s experiences in the U.S. Army and CIA from 1947 to 2001. Billy was one of the first troops on the ground in Vietnam in 1962 and stayed in Vietnam from 1962-1972 including participation in covert military actions in Cambodia and Laos. Billy was the CIA’s contact spy on Osama Bin Laden while he was in Sudan and was also the key figure in bringing in Carlos “The Jackal” Sanchez who was an International terrorist. This is a really enjoyable book – this guy has pretty much seen everything. JP Review: I loved this book – it is an action-packed book that is set on the Vietnamese/Cambodian border in October 1969. 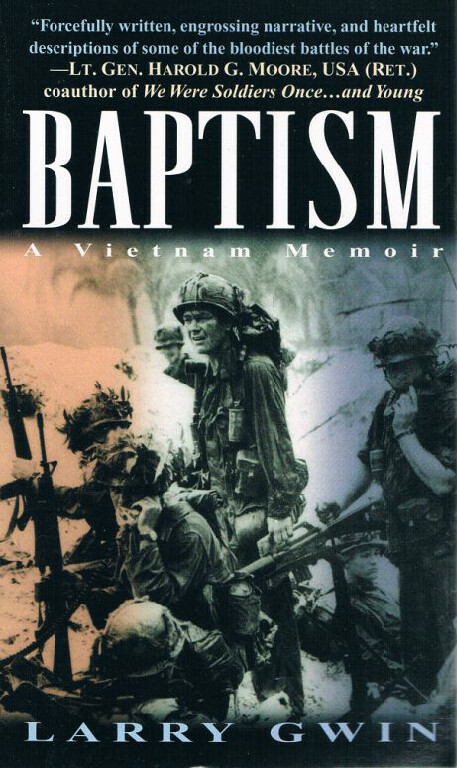 The book was written by one of the youngest Green Beret Captains in the Vietnam War (Albracht). At age 21, he commanded 27 American soldiers and 150 local militiamen (Montagnard) at Fire Base Kate. He and his men were placed there specifically to lure Vietnamese troops and they ended up defending the base against 6,000 Vietnamese soldiers for several days before barely escaping with their lives. I was really impressed by the courage he and his men showed under the conditions, Albracht ended up with 3 silver stars after the war. JP Review: This book is set in Vietnam in 1968 and if you want to go to work tomorrow, don’t read this book – you’ll be up all night reading it. Honestly, this book is fantastic. The book is about Green Berets being inserted, secretly, into Laos and Cambodia to gather intelligence, capture North Vietnamese soldiers (for information) and install listening devices along the Ho Chi Minh Trail. There are 12 separate missions that are described in this book and for each one, it’s unbelievable that these guys made it out alive. In every mission, they encounter gunfire and are essentially operating without any form of support while they are in the field. If you like reading about the Vietnam War, this is a must-read. AK Review: This book is not for everyone due to the subject matter – the author spent 10 years researching the events of April 20th, 1999 at Columbine High School. He has read pretty much everything there is to read and has interviewed countless people who were there that day and who were part of the investigations that followed. I found this book to be extremely well done. Cullen set out to provide as definitive a picture as he could about what happened that day and he also does a fantastic job of giving the reader a in-depth look at many of the people who were involved including the killers, the students, the teachers, their families and the investigators. This subject is very difficult to read about, but Cullen’s writing is respectful and you can tell that he was pursuing the truth. A lot of myths and misconceptions came out of those events and he makes a serious effort to separate fact from fiction. I definitely recommend this book. JP Review: This is another riveting book by Bill O’Reilly that focuses on the story of the development of atomic weapons and the eventual decision by President Truman to use the weapons against Japan in an effort to end WWII. It gives insight in to the emotional toll it took on Robert Oppenheimer (the mastermind behind the bomb) which led to drinking, smoking and infidelity on his part. There was a particularly interesting story about the USS Indianapolis which was carrying a then-benign atomic bomb to the Philippines that was destined to be dropped on Japan, but the ship sunk en route. There was another story about how the bomber that carried the bomb to drop on Nagasaki was being attacked by Japanese airplanes mere minutes before the bomb was released. After the war, General MacArthur transformed a broken Japan back into a superpower within 5 years and O’Reilly talks about that too. Definitely a good read – it was hard to put down. AK Review: I read this book as part of a book club that I am involved with, so this is admittedly not something I would choose on my own. With that being said – I have to say that this is one of the best ‘business books’ that I have ever read. The book speaks to our natural tendency to be either ‘in’ or ‘out of the box’ with people around us. When we are ‘in the box’, we tend to see others selfishly, and in a negative way and we need them to continue doing certain things or acting in way that verify our judgements of them and, ultimately, provide us with excuses for how we act with them. Being outside of the box is seeing people as people who have their own needs, wants and desires. I know this book was written primarily for the business world, but I found the principles to be widely applicable to life. I may make it a point to re-read this book every once in awhile, just to remind myself of some of the basic principles it talks about. AK Review: Even if you are not a big reader – this book is worth taking the 4-5 hours that it takes to read, it is THAT good. Dr. Paul Kalanithi was a neurosurgeon who was on the cusp of completing his schooling when he was diagnosed with Stage 4 cancer. This book is a memoir about his life and he really digs into his observations about being a doctor versus being a patient. Not only was he gifted as a neurosurgeon and neuroscientist, he also has a gift for writing and that comes through clearly in this book. It is not an easy book to read – he gets very real about his thoughts and struggles, but there is something so beautiful about it and it definitely leaves a mark once you are finished. JP Review: I absolutely loved this book – supremely well written and very gripping. I thought I would read this book prior to seeing the movie that is about to come out. Additionally, I know people who lived right in and around Dunkirk at this time so it makes this story more interesting.If you’re unfamiliar with the story – the town of Dunkirk is located on the northern coast of France (~30 miles from Great Britain) and in mid-1940, 338,000 British & French soldiers had been cornered there. The real story is about how the British and French governments made a plea to anyone with a boat or ship to cross the English Channel and help rescue these men. Boats, ships, canoes, and all manner of sea-worthy vessels came and almost 90% of those 338,000 men were saved during a 7-day time frame. All this while being constantly shelled and attacked by German troops. This really is an amazing story and it is, at times, hard to wrap your head around. The movie should be really good, I’m looking forward to it.